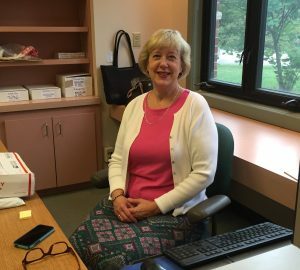 Last week we welcomed new Editor-in-Chief Joyce Harrison to the press. This week we say goodbye Press Director Chuck Myers. Wednesday will mark the final day for UPK Director Chuck Myers. Appropriately, Chuck will launch a new title Wednesday afternoon. Chuck came on board at UPK as Director on October 2, 2013 and in his stint oversaw the implementation of digital versions of our books and the major overhaul of the UPK website. Chuck’s dry sense of humor, sharp editing eye and warm nature will be missed by the UPK staff. 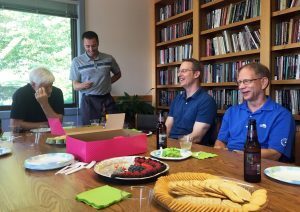 We wish him well in his new position at the University of Chicago Press. We are thrilled to introduce our new Editor-In-Chief, Joyce Harrison. She brings with her a wealth of university press publishing experience that we are eager to tap. 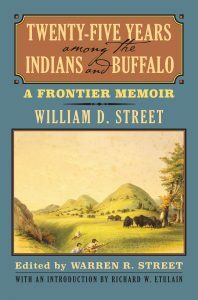 Harrison comes to Kansas from Kent State University Press in Kent, Ohio. 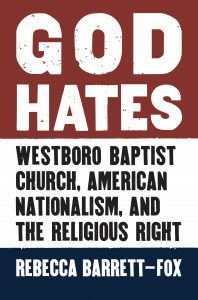 On Tuesday evening, Rebecca Barrett-Fox will be discussing her book God Hates: Westboro Baptist Church, American Nationalism, and the Religious Right at the Kansas City Public Library. In a discussion of her book, the Arkansas State University sociologist goes inside the church, its ideology and daily operations. She makes a case that the Westboro movement isn’t so distanced from more mainstream segments of today’s religious right, where tragedy is commonly attributed to God’s ability to punish sin. God Hates traces WBC’s theological beliefs to a brand of hyper-Calvinist thought reaching back to the Puritans—an extreme Calvinism, emphasizing predestination, that has proven as off-putting as Westboro’s actions, even for other Baptists. 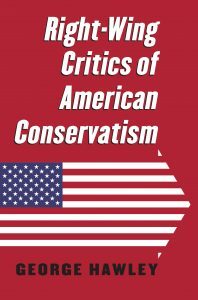 And yet, in examining Westboro’s role in conservative politics and its contentious relationship with other fundamentalist activist groups, Barrett-Fox reveals how the church’s message of national doom in fact reflects beliefs at the core of much of the Religious Right’s rhetoric. Joel Goldstein is the preeminent expert on the Vice President. 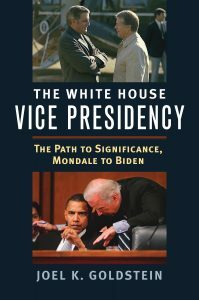 During this election season the University Press author of The White House Vice Presidency: The Path to Significance, Mondale to Biden has been very busy. 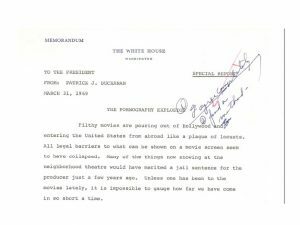 In addition to appearing with Vice President Joe Biden on MSNBC’s Morning Joe program, Goldstein penned a great piece for the Washington Post’s Monkey Cage blog discussing the increasing influence of the Vice President. 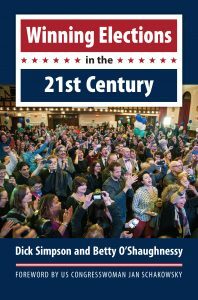 “Moreover, some vice presidents were more influential than others, depending on their skill, standing, relationship with the president and other governmental figures, and the need for their talents, among other factors,” Goldstein writes.